After the success of the 1st show, Country Junction 2 returns on Friday 18th January. 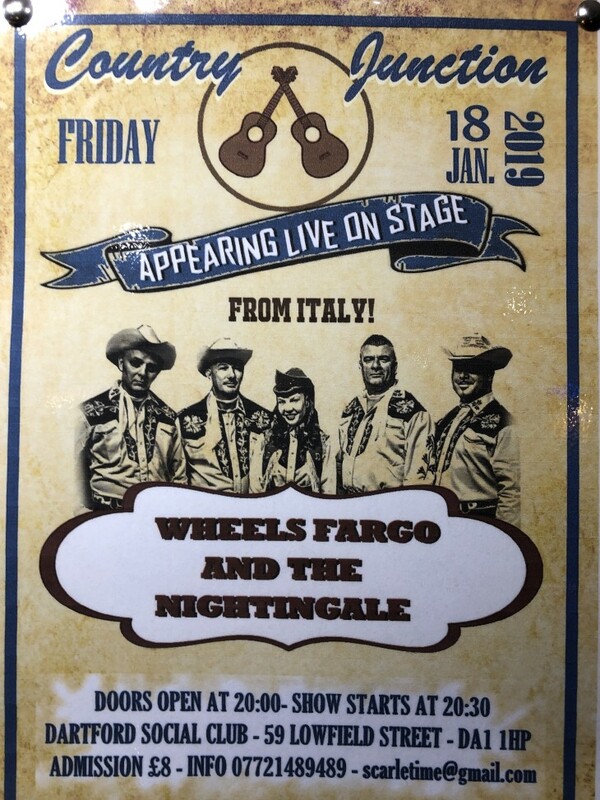 This time we have Wheels Fargo and the Nightingale, all the way from Italy, live in stage. Tickets are on sale now, £8. There will be a limited availability on the night.